I can help you with Homes in Florida. Is a Florida Retirement Right for You? Have you thought about retiring in Florida, but not sure if you can make it work? Please join three real estate professionals for coffee, snacks, and and informal chat at the Perry Park Country Club. Learn about the Florida lifestyle (casual), Florida Homestead Rights (a great option for retirees), and explore financing options. 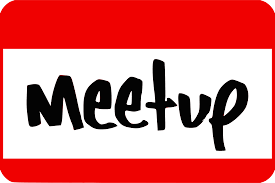 Join us for our next Meetup. Click below to see the schedule. Interested in owning a home, but short a down payment? Perhaps you've saved 20% but aren't quite sure you'll be in a home long enough to make it worthwhile. Home Partners of America is a national organization that helps put people into homes with no down payment, and an attractive "lease to own" option. Lease it, Love it, Buy it! Ask me about Home Partners of America program.